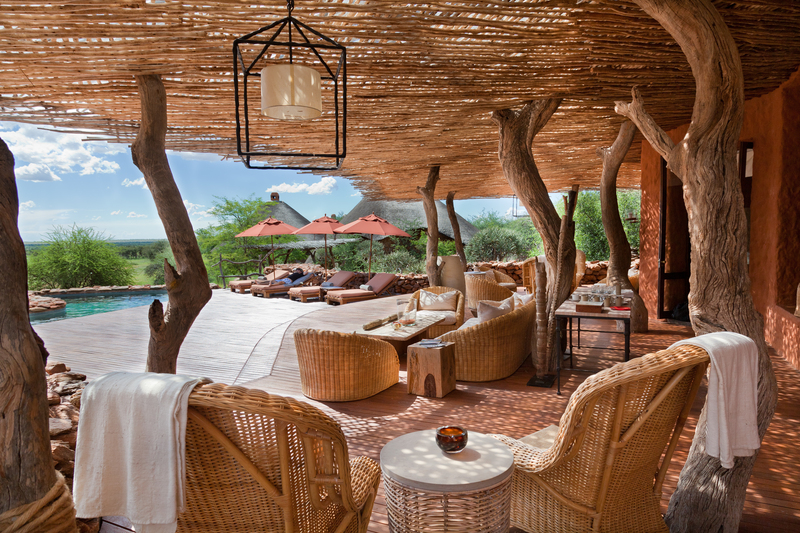 Nestled at the base of the Korannaberg lies this month’s property of the month – Tswalu Kalahari. 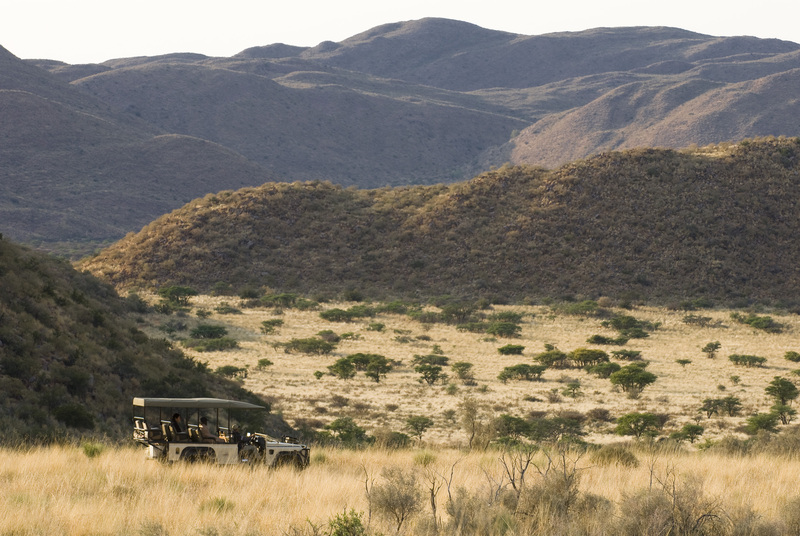 This beautiful – and South Africa’s largest – private game reserve envelopes 240 000 acres of pristine wilderness. Owned by Nikki and Strilli Oppenheimer, the sheer magnitude of the reserve bares testament to the family’s commitment to authentic conservation and opulent luxury. Don’t let its position sway you! Tswalu makes up the south-east tip of the Kalahari, and just south of the Botswana border, this reserve offers a flourishing habitat for both humans and animals alike. Out in the wild, the game viewing is breath-taking be it from the back of a 4 X 4 safari vehicle, the saddle of an impeccably behaved horse or on foot. 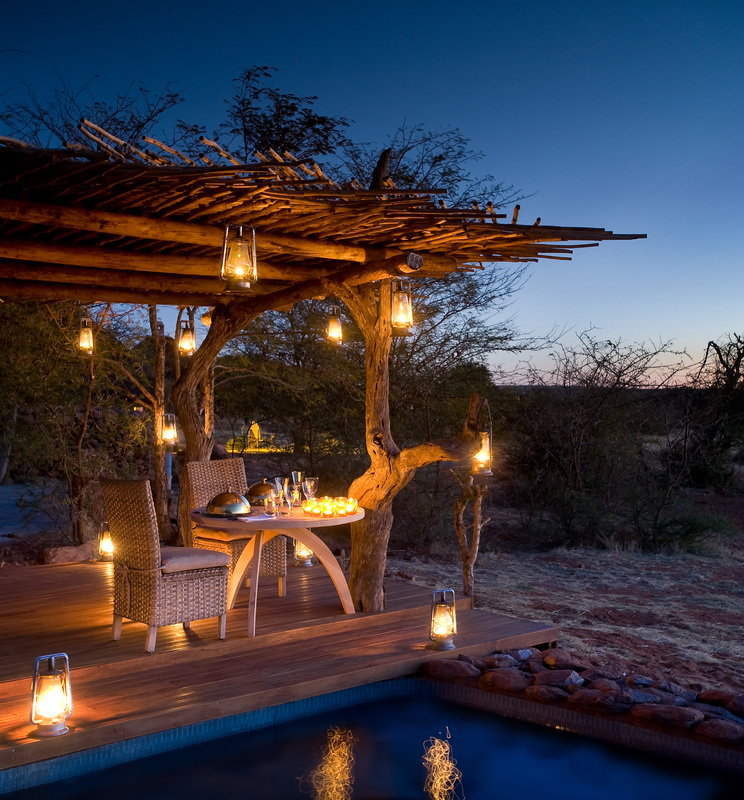 Tswalu is the ultimate luxury safari destination in the heart of the magical Kalahari. 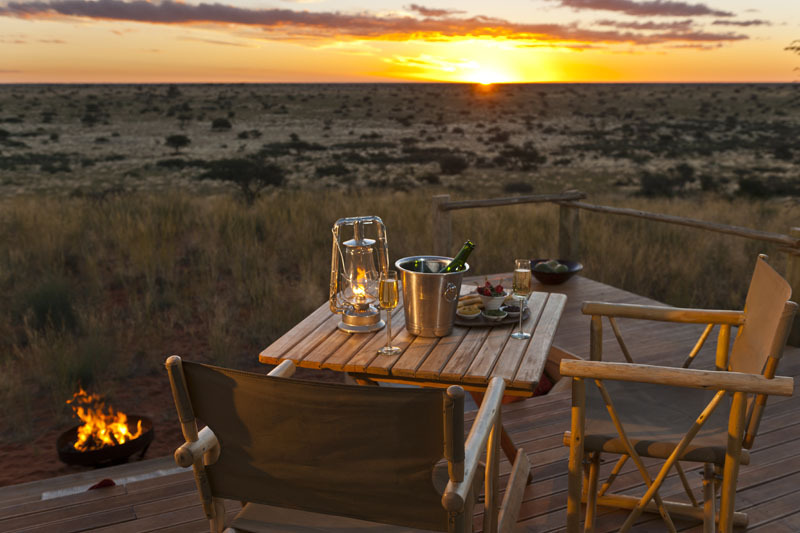 Motse Lodge boasts extraordinary views of the Kalahari plains stretching out endlessly to the west. 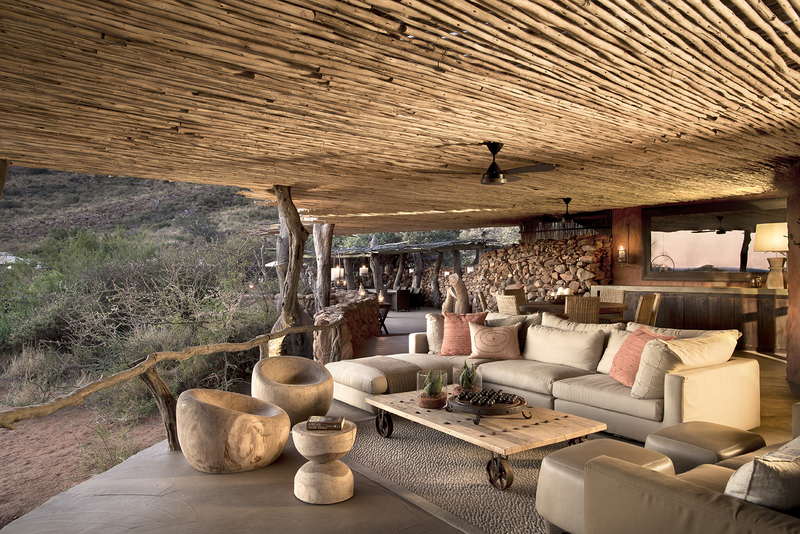 The expansive decking, sumptuous lounge and well-stocked mezzanine library offer spaces for quiet contemplation and reading after a day out in the wild. The large infinity pool is an excellent place to sip a gin and tonic in the midday sun while the drama of the Kalahari unfolds all around. The lodge sleeps just 24 guests in ultimate comfort. Each secluded stone and thatch bungalow is a testament to taste and elegance with antique furniture and rare African artefacts. The suites have huge bedrooms with fireplaces for chilly desert nights; vast bathrooms with indoor and outdoor showers; elegant dressing rooms and spacious study areas. The warm hues reflect the beautiful shades of the wilderness outside encouraging you to feel totally relaxed and at one with the environment. 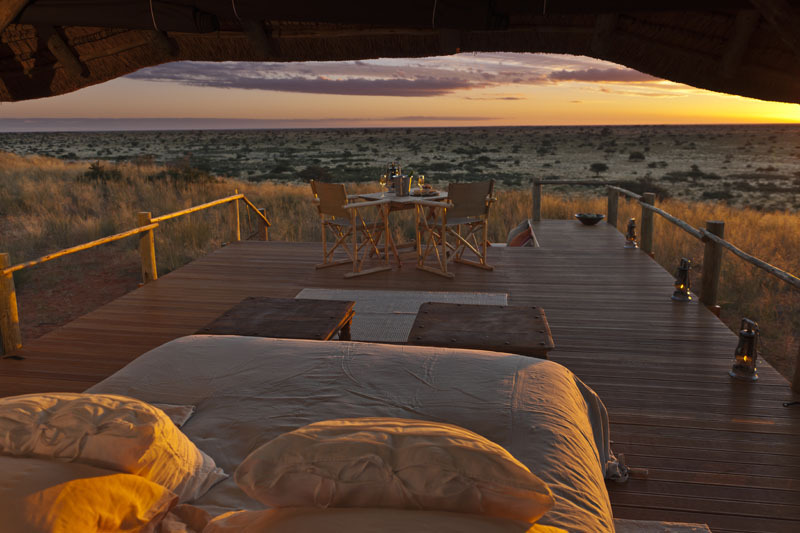 The private sundeck with views of the camp waterhole are magnificent spaces to soak up the peace of the Kalahari. 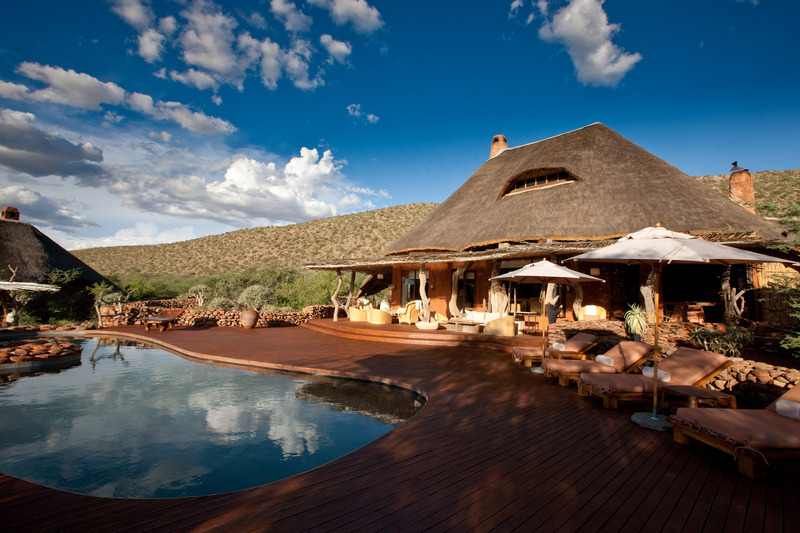 Situated some distance from Motse Lodge, in a valley of its own between two mountain ranges, is Tswalu Tarkuni. This ultimate secluded luxury offers a stunning thatch and stone villa with 5 suites. The private suites accommodate up to 10 guests, while the main house comes with its own cavalry; a chef, guide, house manager and a private game drive vehicle. The style mirrors both Motse Lodge and the Kalahari Desert. Playing with colours, the interiors have red clay finishing and enormous pivot fire places. There’s a guarantee that you will feel coupled with the outdoors under seismic hollow ceilings and next to raw stone walls creating a distinctive aesthetic beautifully suited to the Kalahari’s flair and grace. Tarkuni’s en-suite bedrooms are big enough to lose your thoughts in it. The open-plan area has fantastic views of the Kalahari and the desert-chic style continues from the bedroom to the bathroom. From the colour scheme to the furniture and decor, it is as though the fixtures have been choreographed into place. Most of the staff at Motse have been there for over 15 years and so know just how to make your experience just that much more special. Whether it’s by making a glorious fire for you in your room, treating you to an unforgettable massage or to the exclusive “Mocha-choca-rula” on your early morning game drive. Make sure you go on at least one day’s horse safari, ask for a “Dune Dinner” (a special culinary treat in the middle of the bushveld) or for a night’s stay at the Malori Star-Bed the exclusive, private suite that lets you sleep under the stars! For more on this once-in-a-lifetime destination click here.